It is the time of year when people reflect on the year past and make goals for the year that is to come. In my general life, I am not at all one for New Year’s resolutions. I have never really gotten into it and find it easy enough to make and then fail at resolutions all year around. With this blog it is a little different. Making resolutions can be a good way to keep the site fresh for readers and change things up for me as a writer every so often. 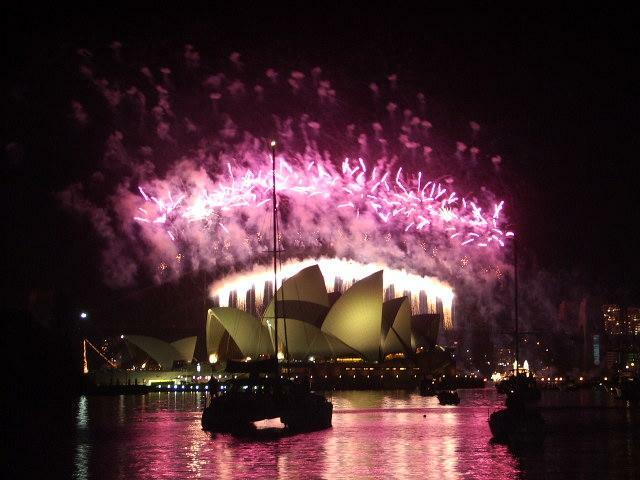 For 2013 I wanted to focus more on Australian film. Whilst I perhaps did not get to review as many as I had hoped, I definitely did increase the level of Australian content here which I was very pleased with. I will continue to attempt to provide exposure for as much Aussie film as possible through the site in 2014 as well. But I thought I would focus on something a little more concrete as a main goal this year. Getting back to the basics of why I started this blog, this year I will be focusing on ‘The 101’. I started this blog the best part of four years ago, as a means of watching and reviewing the ‘1001 Movies to Watch Before You Die’. In that time, as the focus of the blog has broadened, I have only managed to review 96 of them. So the goal for this year is simple. 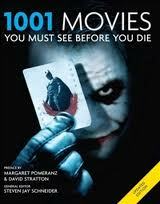 Knock over reviews of 101 out of the 1001 films on the list. I will keep up with the other features of the site as well. The Worth Watching posts will continue, there is a cool POV post in the works and I am even hoping to resurrect and finish Bondfest and The Bergman Files. I am also quite excited by some other ideas that I have in the pipeline which will hopefully come to fruition this year. Given that The Film Brief podcast I was formerly a co-host of is no more, I am intending on getting back into the podcasting game with my own pod, which I am quite excited about. It will probably be a couple of months before you see that, but I am pretty keen and I have a structure in mind that I am quite satisfied with. Before that, you will most likely see some video content from me as well. Initially this will be in the form of some ‘unboxing’ vids, but I have a couple of video essay ideas as well which I am keen to explore if my feeble little brain can master the technical aspects of that. I will also be increasing the number of live tweet reviews this year, as they seem relatively popular. This will be the standard ones I do, more 1001 live tweets as well as a little series that will be known as ‘World’s Longest Live Tweet’. The first of those will hit in the second half of January. That’s it for now, I’m off to madly attempting to watch all of the 2013 films I missed in anticipation of my 2013 in review posts, which will hopefully land mid January. Thanks to anyone who ever reads anything on the site, likes a post or leaves a comment. Tis great to know that people are reading along. If you have any suggestions of posts you would like to see or constructive criticism then please always feel free to shout out in the comments or you can catch me on drinkingbeerwatchingmovie@gmail.com. Cheers mate. And glad to hear you liked The Secret Life of Walter Mitty. I saw it a little while ago and was really impressed with it. Thought it was one of the more original big studio films I’ve seen for quite a while. Hope you reach your goal mate. All the best for the coming year! Looking forward to it, man! Good luck. Cheers mate. No doubt there will be plenty of horror flicks on there. Good luck with that goal. It’s ambitious, but you can do it! Cheers mate appreciate it. Happy new year to you as well. Awesome, Tim! Looking forward to your 2014 posts and the new content, especially the podcast and videos! Cheers Fernando. Looking forward to branching out a little. Just have to sort a few technical aspects first. Of course. Hope everything works fine. Cheers Smash and happy new year to you as well.